Kyoto may not be the first place that comes to mind when looking for some tasty sushi—the city is, after all, surrounded by mountains. Despite this, Kyoto has a unique style of sushi—Kyo-zushi—that's absolutely worth trying if you’re looking for an alternative to the city's more famous kaiseki cuisine and obanzai home cooking. Hisago Zushi has been making Kyozushi for over 60 years in its well-placed downtown location, where passersby can watch the chefs preparing the sushi through the shopfront windows. 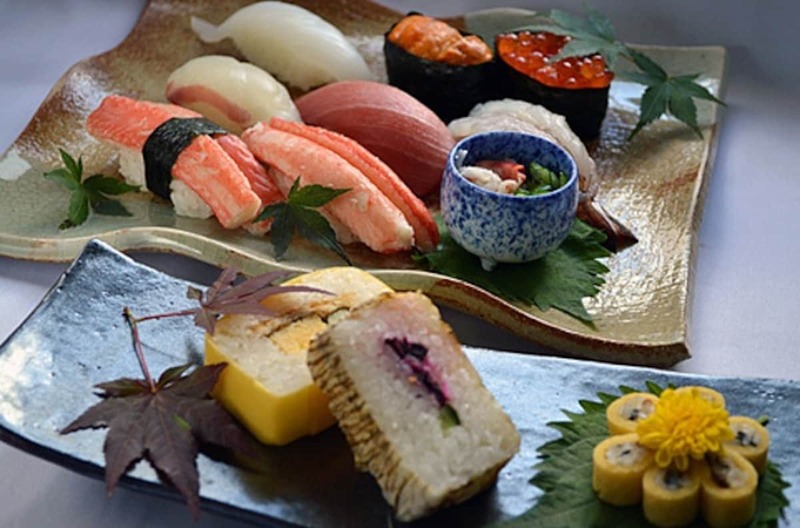 This well-established sushi spot is renowned for its use of fresh, seasonal ingredients. Eat inside, or grab some handmade sushi to go and take it to the nearby Kamo River for a picnic! Hanaore keeps things simple, serving up fresh batches of nothing but saba-zushi (mackerel sushi), the most distinctive form of Kyo-zushi. In the days before refrigeration, strong-flavored fish such as mackerel were preserved in vinegar, or sometimes salt, to make the journey to Kyoto from the sea. This tiny restaurant is close to Shimogamo Shrine on the Kamo River delta. Guests can sit in and enjoy their sushi with miso soup or order to take away. Three rich slices of saba-zushi will set you back ¥1800, but the quality is exceptional. A quick Google search for Kyoto sushi will yield a long string of results listing just one name: Izuju. Located across the street from Yasaka Shrine in the Gion neighborhood, Izuju draws locals and tourists alike to its fresh, seasonal sushi. 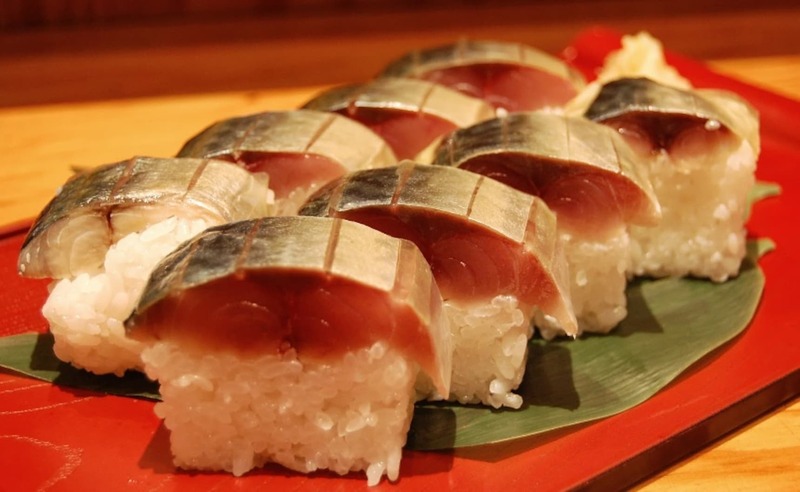 Izuju is famed for its saba-zushi—rolls of fat pickled mackerel on rice. The hako-zushi, or box sushi, is beautifully presented (and tastes great too) if you have room to spare! Along with sasa-zushi (sushi rice with fish wrapped in a bamboo leaf), these are the most distinctive forms of Kyo-zushi.